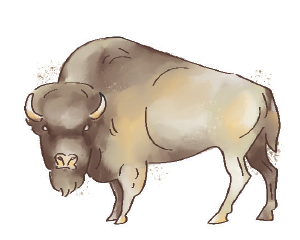 A field guide for the best meat, cheese, eggs and more in 417-land. 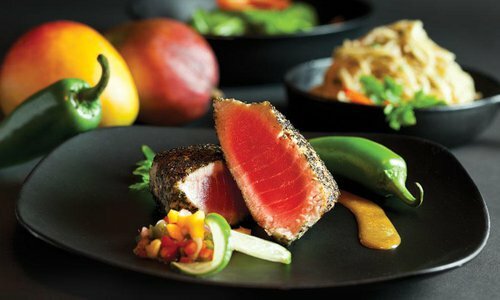 If you think gourmet ingredients are inaccessible to the average home cook, you haven’t looked deeply enough into southwest Missouri’s food scene. The truth is there is a whole world of gorgeously created food that’s made, grown, raised or sold right in your backyard. High-quality ingredients are painstakingly created by artists posing as pastry chefs, honey connoisseurs posing as beekeepers and cheese geniuses posing as farmers. They are the men and women who pour their hearts and souls into their craft, and we guide you where to find their products—and tons more—right in 417-land. Photos by Brandon AlmsA culinary degree, years of teaching and a former role as executive chef at The Keeter Center prepared Craig Crosby to run The Artisan’s Oven. If you’re buying fresh bread, check its proximity to the oven. 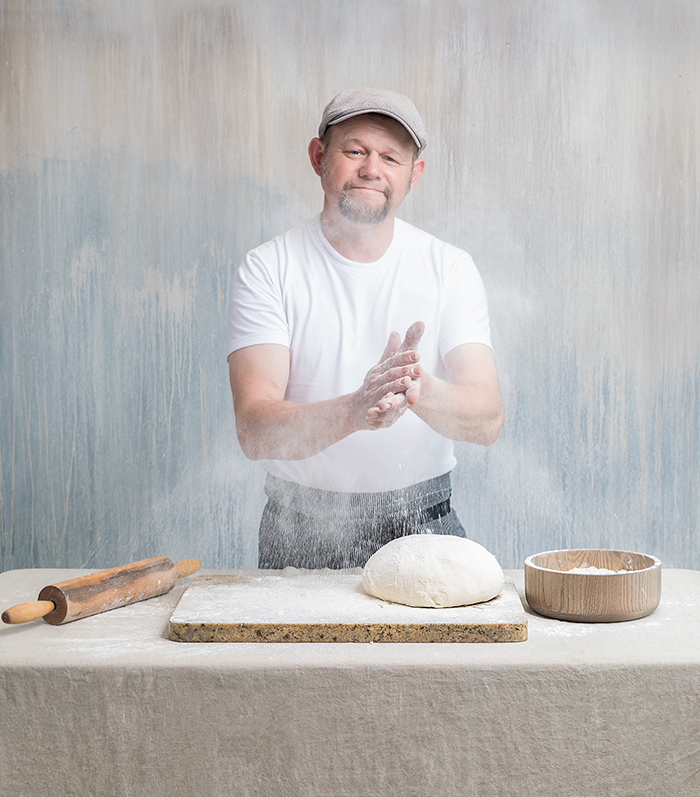 “When you go to the grocery store, they don’t put the Wonder bread in the bakery,” says Craig Crosby, owner of The Artisan’s Oven. The loaves sold at this shop are still warm when they’re put up for sale, and they fill the Commercial Street bakery with the smell of baking bread as they’re transformed from hand-shaped loaves of dough into golden brown baguettes. Crosby buzzes around the hot kitchen in his flour-dusted chef’s coat and works side-by-side with staffers preparing the breads, many of which are then shipped to be served at some 25 local restaurants and sold at Homegrown Food and MaMa Jean’s Natural Market. Meadowlands Farms follows specific farming practices that ensure its disease-free chickens live comfortable lives, and it results in quality eggs with distinct flavors. 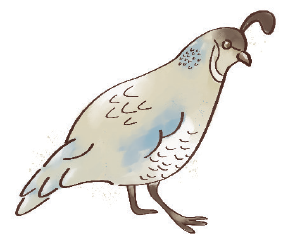 As Horsman speaks of her Heritage breed birds, she recites their varieties as quickly and confidently as most people recite the alphabet. 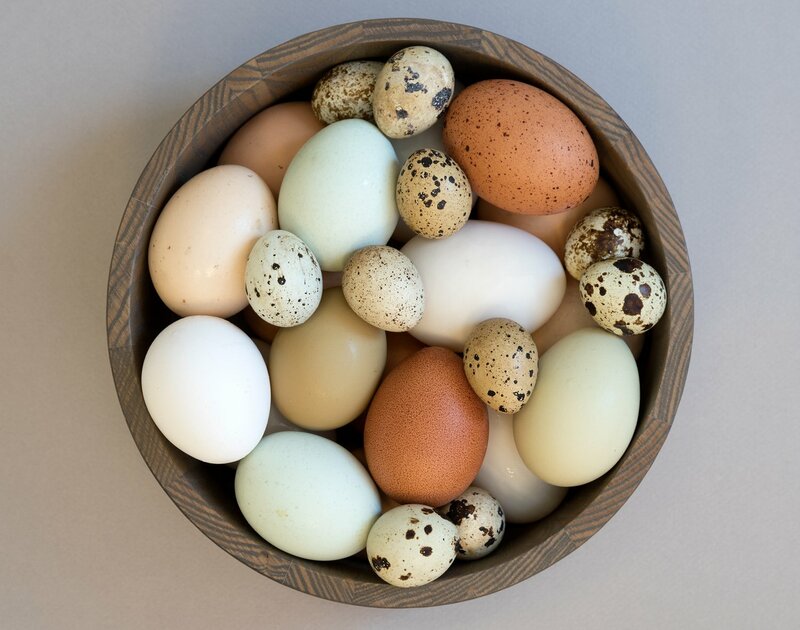 She has Anconas, Araucanas, Ameraucanas, Marans and olive eggers—her own cross between Araucanas and black copper Marans that produce olive green shells—and she regularly collects solid and speckled eggs in shades of blue, brown and green. Meadowlands Farms operates under the NPIP (National Poultry Improvement Plan), a USDA program established to improve poultry and poultry products and eliminate diseases. NPIP is a voluntary program and requires extra work, but Horsman says it’s worth it. “It helps you know the health of your flock,” she says. “I would say that following a good biosecurity program ensures your customers are getting a quality product. That’s very important to me.” You can purchase Meadowlands Farms eggs at Farmers Market of the Ozarks. This Mountain Grove–based creamery uses gentler vat pasteurization and raises cows that graze at pasture and eat grown-right-there feed made of sorghum, rye and wheat. They also offer non-homogenized cream-line whole milk. Find a list of the local groceries that sell their products at ozarkmtncreamery.com. All of Edgewood Creamery’s milk is non-homogenized cream-line, so it offers a richer taste. Lower-temperature vat pasteurization is used here as well, and the cows are almost entirely grass-fed through rotational grazing. 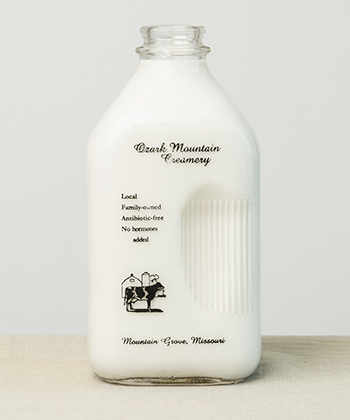 Find Edgewood’s milk at the farm’s store in Purdy or in Springfield at MaMa Jean’s Natural Market. Although Memory Lane Dairy is a division of Hiland Dairy, the milk the small company makes comes from cows within 50 miles of the Fordland-based plant. The dairy offers regular homogenized and non-homogenized cream-line milk, and specialty milks include flavors like mocha and orange cream. Get it at local grocery stores. Terrell Creek Farm owners Lesley and Barry Million currently milk 48 goats twice per day, and they know each and every one of the animals by name. “These goats are very spoiled,” Lesley says. Each goat produces an average of one-half to three-fourths of a gallon of milk daily. “That translates into 300 pounds of cheese a week,” she says. The fresh milk is immediately poured into a chiller tank, and then it’s made into various fresh and aged cheeses. 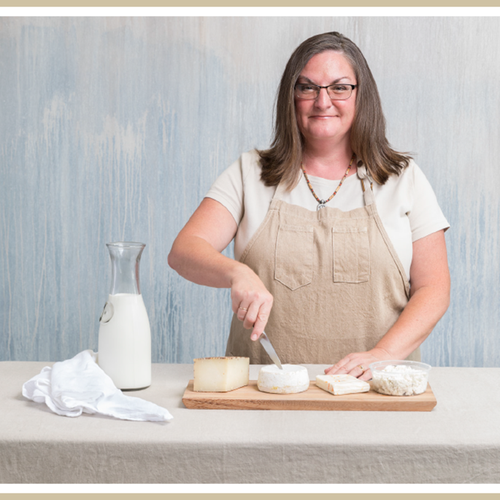 Lesley is the one who leads the cheese-making process—after she milks each morning, she changes into her second outfit of the day, ties on an apron and begins the hands-on process of creating cheese—they produce several varieties of chevre, feta, tomme, queso fresco and more. “We sell everything we make,” Million says. 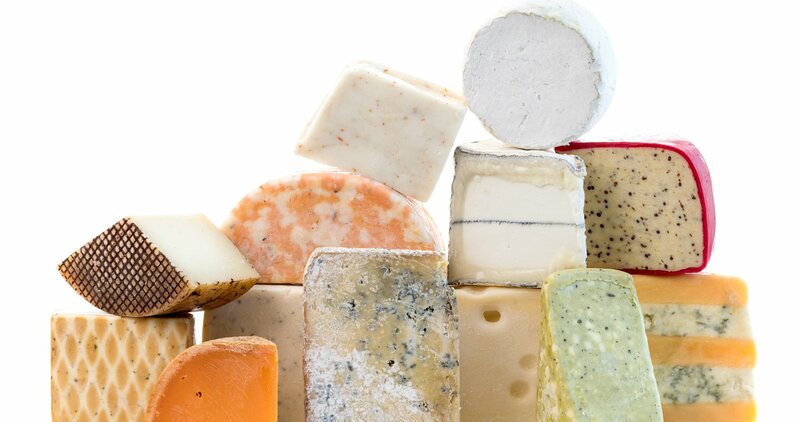 The cheese is all packaged at the farm, and then it is hauled off to sell at Farmers Market of the Ozarks, the Webb City farmers market and various local grocery stores and fine dining restaurants. One of a Kind: Elle’s Patisserie has a special creation on the menu: The cranish. This pastry is the love child of a croissant, a Danish and a sticky bun. We’re particularly fond of the maple-bacon. 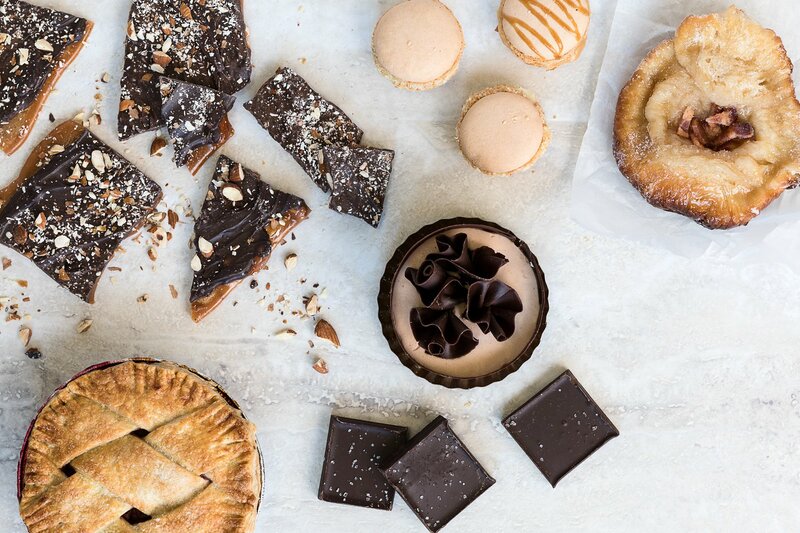 A Taste of France: Katie Kring of B+B Boulangerie & Fair Weather Café makes several flavors of macarons, a traditionally French meringue-based confection, but we’re partial to the salted caramel and toasted coconut flavors. Sugar and Spice: A couple of scoops of pureed chipotle peppers add an addictive kick to Uncommon Confection’s chipotle toffee. The spice in the treat is subtle but adds a depth of flavor to the traditional candy. 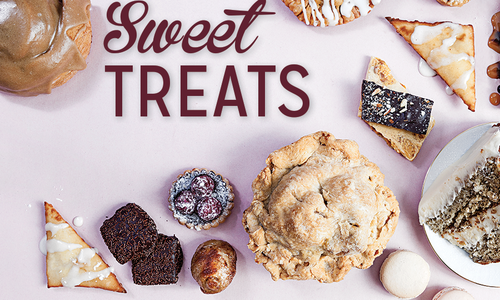 Sweet as Pie: Prairie Pie has been making waves in the local foodie scene lately. One bite of the cherry pie will show you why—flaky, buttery and oh-so-good. Hello, Darkness: Made with dark chocolate and sprinkled with sea salt, the Ultimate 72 chocolate bar from Bon’s Bon’s Candy House is the adult version of a Hershey’s Bar. Takes the Cake: The chocolate mousse cake from European Café is almost too pretty to eat. With a hard chocolate shell and a spongy chocolate mousse filling, this precious cake is a feast for the eyes and the taste buds. Photo by Brandon AlmsAfter growing up in Ukraine, Uliana Komodi and her sister relocated to 417-land and opened European Café, a specialty sweets and coffee shop. 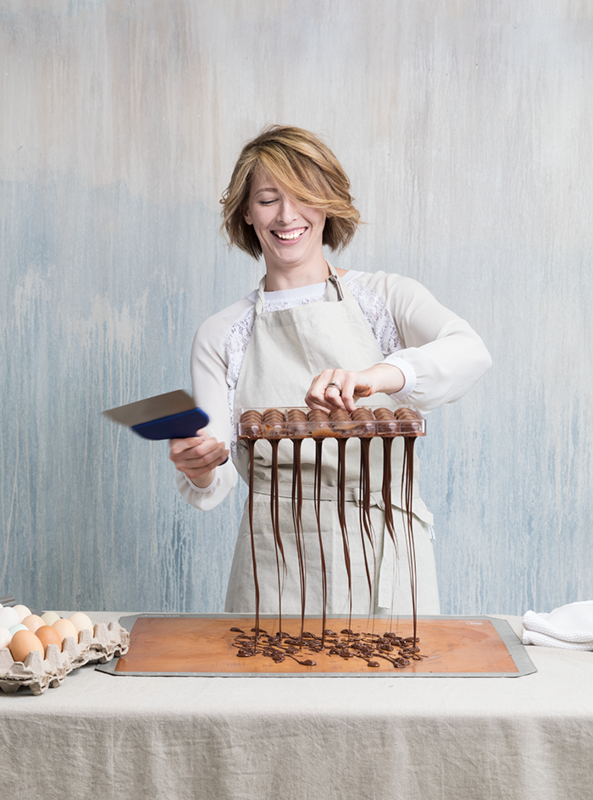 Uliana Komodi spent countless hours researching the science behind tempering chocolate, and she spent about double that time practicing the technique. “It’s really about growing the right crystals and then getting rid of those crystals that will make your chocolate soft,” Komodi says. After one look at her picture-perfect bonbons displayed among a handful of other artisanal treats at European Café—the coffee shop and patisserie Komodi owns with her sister, Khrystyna Savva—it’s obvious she has perfected the craft. Before mastering the candies, Komodi spent hours in European Café’s kitchen refining many other artisanal treats, including the spot’s famous mousse cake and macarons, which took her about four months to perfect. Some of the tastiest local treats aren’t fresh off the farm or hot out of the kitchen. They’re painstakingly produced and packaged locally to be sold on grocery store shelves. This Sofi Award–winning concoction is made in 417-land entirely from organic dates. 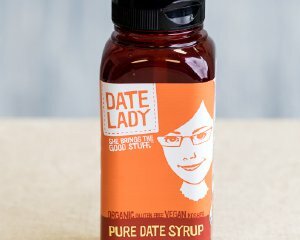 Pick up Date Lady products at local grocery stores. You can use date syrup just about anywhere you want to add a little sweetness. Mix it into energy balls, swirl it into a smoothie or drizzle a bit onto a peanut butter sandwich. Our favorite: Fry some apples in butter and cinnamon, stir in a hefty helping of date syrup and pour the warm goodness over vanilla ice cream. 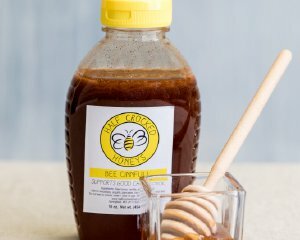 Springfield-based Half-Crocked Chef infuses raw honey with all kinds of ingredients, like cinnamon and vanilla in the Bee CinnFull blend. Get it at Farmers Market of the Ozarks. Honey is good for so many things, we don’t even know where to start. One favorite is drizzling it over a bowl of hot oatmeal. Using infused honey like the Bee CinnFull cinnamon and vanilla honey adds quite a bit of flavor in addition to sweetness. It pairs perfectly with crunchy walnuts and tart fresh berries. Pizza Crust Creations offers flavored crusts to bake at home (plus paleo-friendly varieties). Order in advance online and pick them up at Farmers Market of the Ozarks. 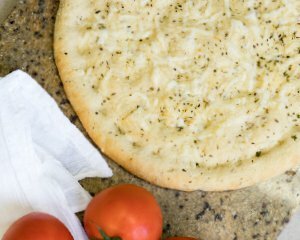 With a cheese-and-herb-infused crust adding flavor to a pizza’s base layer, the toppings can be kept simple but high-quality. We like to use (or make!) a layer of herbaceous tomato sauce, then top the pie with briny fresh mozzarella slices and bright green basil leaves for a simple-yet-delightful margherita pizza. When it comes to bees, Jeff Maddox and Rob Maupin of 417 Bees do it all—they sell honey and bees, remove bees and have their own hives. They gave us the scoop on honey’s greatest secrets. 1. 417 Bees has approximately 150 hives located at some 24 apiaries (bee yards) around 417-land. “Our apiaries go as far west as Halltown, as far east as Rogersville and north to Fair Grove,” says co-owner Jeff Maddox. 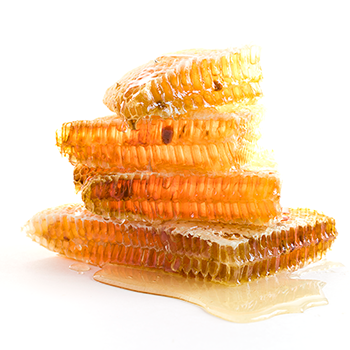 The bees produce nearly 100 gallons of local raw honey per year. 4. 417 Bees sells its local raw honey (call 417-812-5021 to try to snag your own), but it sells out quickly. If you buy honey from another supplier, talk to beekeepers to make sure it’s local (hives should be located within 50 miles of where you live). Find more information about local beekeepers and beekeeping online at 417bees.com or at ozarksbeekeepers.org. When it’s so easy to summon ingredients from across the globe right to your kitchen, sometimes we miss the flavors right under our noses—nuts littering wooded hillsides, tart berries growing wild on bushes or soft fruit hanging heavy from autumn branches. Robert Stricklin, executive chef of The Keeter Center at College of the Ozarks, uses black walnuts, gooseberries and persimmons in his cooking and sings the praises of these three native Missouri flavors. 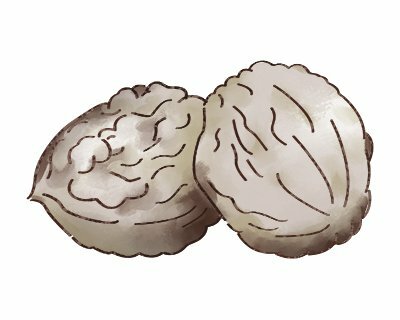 With an unflinchingly earthy flavor, black walnuts taste like the woods, but not everyone finds that appealing. “Some people don’t like them because they have an astringent taste,” Stricklin says. When deftly used in cooking, that funky flavor can be a complement to other ingredients. 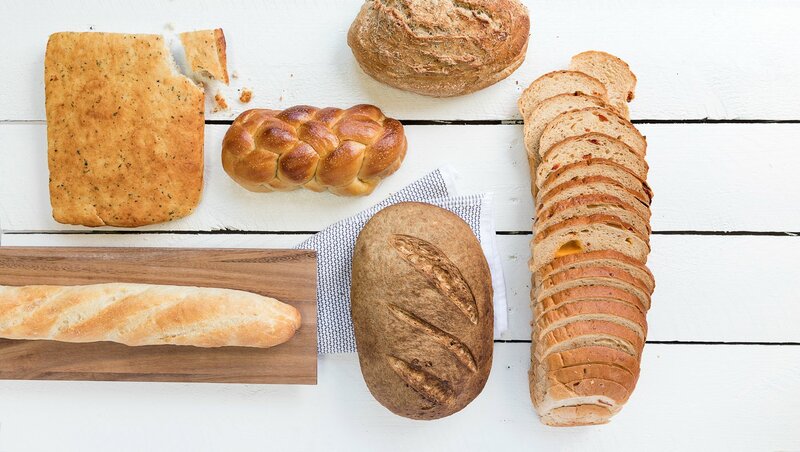 Stricklin uses them in his signature whole wheat oatmeal and honey bread. They work great in ice cream, too. “We make a chocolate black walnut toffee ice cream,” Stricklin says. “The slight burnt sugar of the toffee really complements the black walnuts.” For a savory dish, Stricklin recommends making a conserve with black walnut, Gorgonzola, onion, cayenne pepper and cumin. The perfect fall fruit, persimmons have a warm, orange color that embodies the season. Even their flavor is more autumnal and delicate than the tart, summery fruits that emerge earlier in the year. So of course they lend themselves well to desserts. Stricklin recently used them to make persimmon butter, combined with apples, cinnamon and ginger. “I like it better than apple butter,” he says. “It had almost a pumpkin flavor.” Salads also benefit from the addition of ripe persimmons, according to Stricklin, and the fruits make a great base for chutneys. If you want to skip the preparation, though, you can simply eat your persimmons out-of-hand. 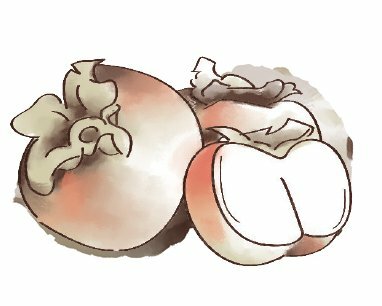 The decadent fruit is a real treat, especially if you haven’t tasted one before. If mouth-puckering tartness is your thing, you’ll probably enjoy popping a gooseberry into your mouth, straight off the vine. 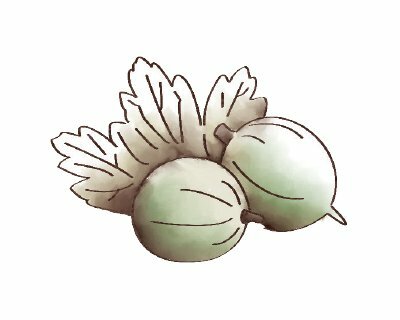 The sour berries can seem super-sharp and a bit bitter if you’re not used to the flavor. But that doesn’t mean the tartness needs to be hidden if you use the fruit in your cooking. “Gooseberries I treat like cranberries,” Stricklin says. “I really like tart flavors, and I don’t try to mask them!” He uses gooseberries to make pies, cobblers and jams most of the time. But he has also turned them into chutneys that he put together using onions, golden raisins, ginger, cinnamon, brown sugar and vinegar. The berries can complement roast pork or chicken, and they taste great with rosemary. 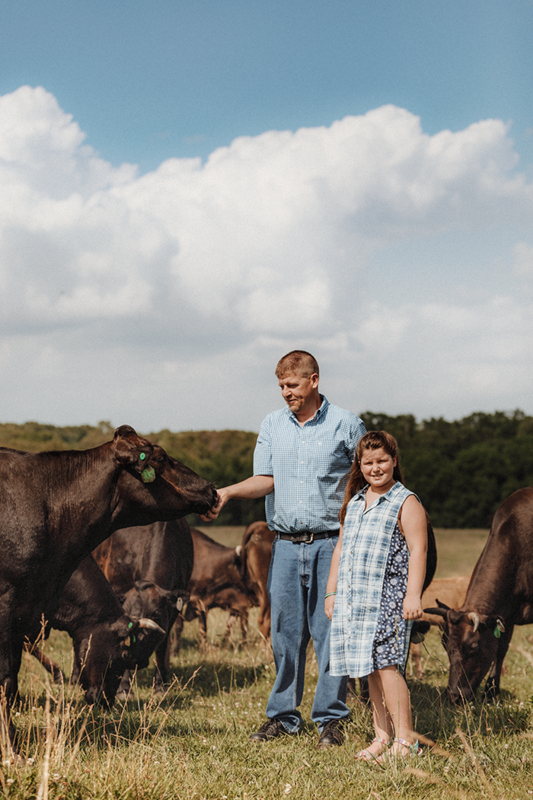 Photo by Brandon AlmsJustin Baker of JB Kobe Farms feeds his Wagyu cattle with his daughter, Samantha. 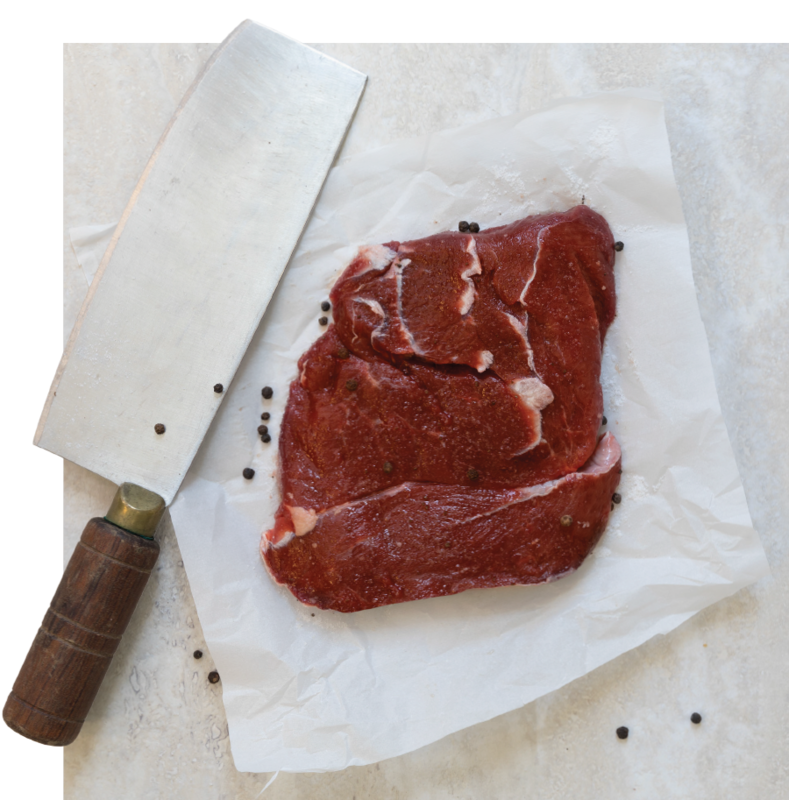 The meat is sold at MaMa Jean’s Natural Market, Hörrmann Meats and online. Most people know that Wagyu beef is better beef, but why? Justin Baker from JB Kobe Farms dishes on the 200-plus-head cattle operation and its product. 1. Many varieties of cattle are harvested at approximately 18 months. The Wagyu cattle at JB Kobe Farms are raised for about 36 months. “Most cattlemen and women don’t care for the smaller size and slow growth rates of Wagyu,” Baker says. This 36 months includes 400 to 500 days of finishing. 2. Prime beef grades out as the highest quality beef according to the United States Department of Agriculture (USDA) beef grading shield. “Two percent of beef in the United States is Prime quality beef,” Baker says. The Wagyu at JB Kobe Farms ranks better. “Ours grades out well above Prime,” Baker says. 3. There are different varieties of Wagyu. “Just having Wagyu cattle doesn’t guarantee great meat,” Baker says. The majority of Wagyu beef in the United States comes from cattle with 50 percent Wagyu genetics. All of the Wagyu at JB Kobe Farms contain a minimum of 87.5 percent Wagyu genetics, and they also have 100 percent full-blood Wagyu. Higher concentrations of Wagyu genetics provide higher amounts of beneficial fats. 4. A study by Texas A&M reported that Wagyu beef has a 3-to-1 monosaturated fat ratio compared to 1-to-1 of normal beef, which means the marbling (and fat) is different. “Some Wagyu carry an SCD gene, which makes the fat have a lower melting point,” Baker says. “This equals flavor and a healthier type of fat.” You can see abundant marbling of these quality fats in beef from JB Kobe Farms. 5. JB Kobe Farms has bred or sold several hundred cows (including the 200-plus they currently own) that are registered with the American Wagyu Association. The registration process includes pulling DNA samples from every cow and waiting for approval. GrandView & Hillside Bison sells its bison bratwursts, steaks, summer sausage, ground bison and more at the Farmers Market of the Ozarks. 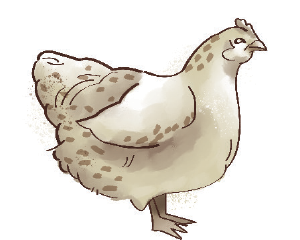 It’s your source for quail and rabbit meat, plus you can join their CSA for lamb, pork, chicken eggs and more. Find a list of what this farm offers on its facebook page. 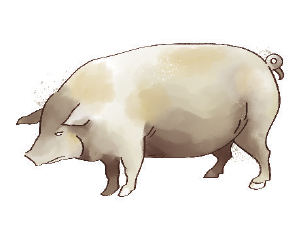 Berkshire heritage pork is humanely pasture-raised at Circle B Ranch, where the old-fashioned methods lead to a more red and succulent pork. Bechard Family Farm offers pasture-raised chicken, beef, lamb and pork. Order ahead of time to get locally raised fresh turkey for your Thanksgiving table. 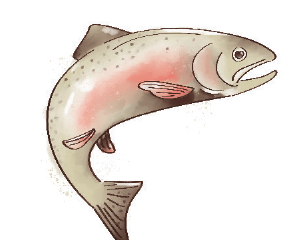 The freshest seafood makes its way from the ocean to 417-land via Springfield-based Express Foods. The food you order from here is dinner party gold. Photo by Brandon AlmsThe bison sirloin from GrandView & Hillside Bison, which is pasture-raised and finished, is $20 per pound. Photo by Vivian WheelerDon’t be afraid to get handsy—and nose-y—with the produce at the Farmers Market of the Ozarks. Touch and smell it for freshness. 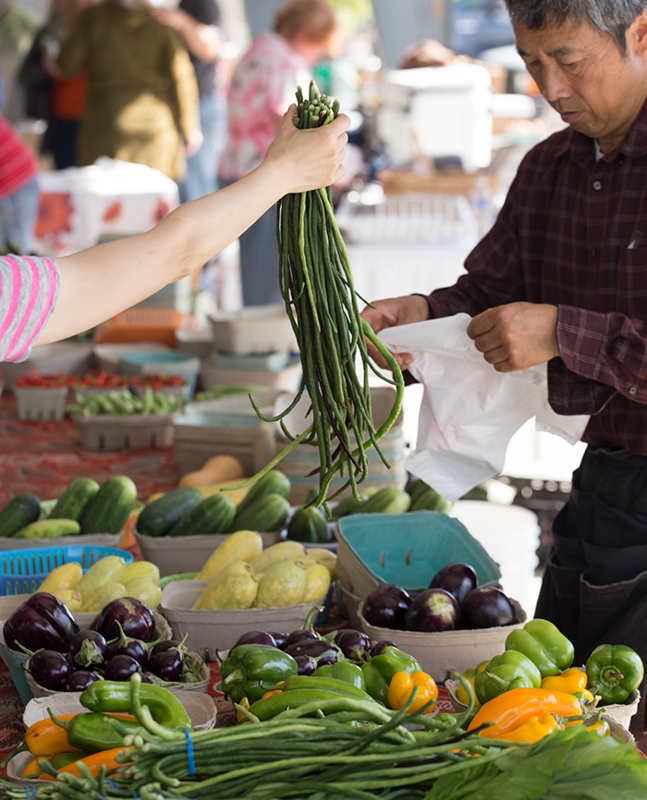 Craig von Foerster of Harvest Restaurant knows his way around a farmers market. We tagged along with him to the Farmers Market of the Ozarks ahead of a busy weekend at the restaurant to learn how to find the freshest, tastiest produce. Craig von Foerster gets to Farmers Market of the Ozarks around 7:30 a.m., a half-hour before it opens. He typically heads to Rocky Valley’s stall first, which von Foerster—and others—considers to have some of the best produce at the market. “Come 8 a.m., there will be a line of people waiting here,” he says. “Most of the year you should bring a cooler,” von Foerster says. “Ten minutes in a hot car can undo all the hard work the farmers put into getting the produce here.” This is especially true of items like salad greens, he says. At the beginning of the season, von Foerster goes to vendors that sell corn and buys a couple of ears from each. He keeps these separated and does a blind taste test on the different ears to determine who has the best-tasting corn. Whichever farmer produces the winning corn is who von Foerster will be buying from that season. This principle can be applied to any type of produce. Looks can be deceiving when it comes to judging the merits of produce. This is especially true of heirloom tomatoes—sometimes uglier can mean tastier. Don’t be afraid to smell produce as you’re perusing. A couple of whiffs can tell you a lot. Pay attention to when things come into season and be patient. Von Foerster never puts an item on his menu when it first shows up at the market. Instead, he’ll buy a small sample of the item and take it home to try it. Often the early batches of produce are not going to be the best, so be conservative when you’re tempted to buy the first strawberries you see. Go to The Spice Agent (105 E. Main St., Branson) when you want super-fresh spices that are ground and blended in-house. There is also tea, dried mushrooms, dried peppers, oils, extracts and more. If the scent of tea is your bliss, you’ll love Chabom Tea & Spice (209 E. Commercial St., Springfield ). You can even taste the tea before you buy, and there are also tons of tea supplies. Their spice game is strong too. In addition to the store’s namesake teas and spices, you can also browse flavored gourmet sugars, olive oil, grains and more at The Spice & Tea Exchange (100 Branson Landing Blvd., Suite 215, Branson. 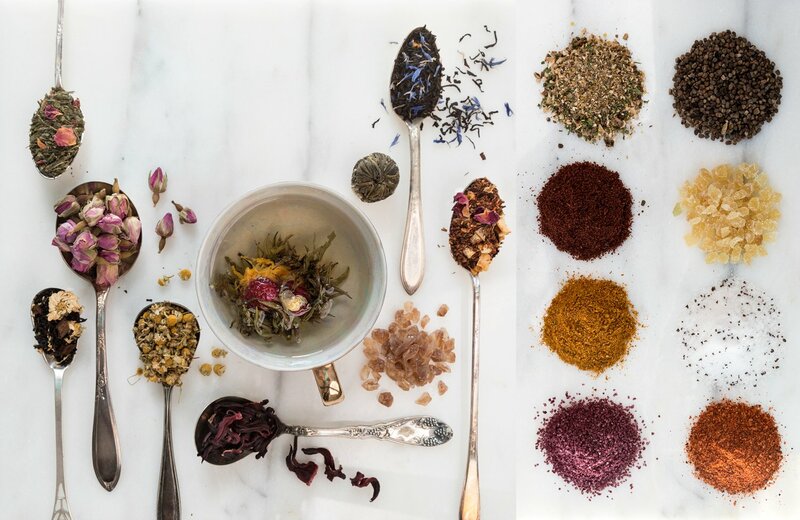 With four locations, MaMa Jean’s Natural Market is a convenient go-to for spices and teas. In addition to the wide variety always on-hand, the store offers deals on different bulk items each month. 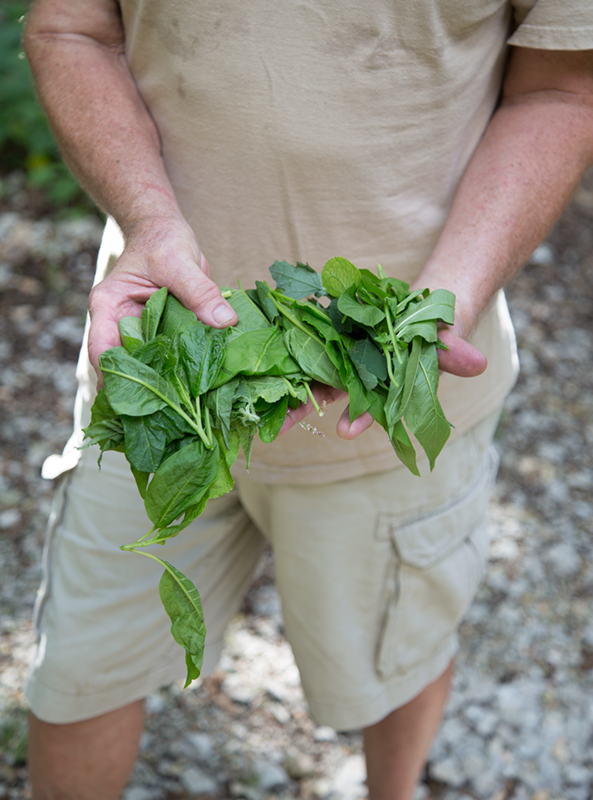 Photo by Vivian WheelerBo Brown forages a variety of edible greens that will later be boiled, dressed with balsamic vinegar and seasoned with salt. Often hidden in plain sight, edible plants abound in the Ozarks. My grandmother was a legendary forager. Conservation agents in her hometown of Perryville would drive to her farm with plants they couldn’t identify. In an effort to learn the skill my grandmother had mastered, I set up an edible plant walk with another legendary forager—417-land’s own Bo Brown—and drove east of Springfield to his cabin on the James River. Brown is a walking encyclopedia of foraging knowledge. We had not stepped 3 feet out his cabin door before he was handing me leafy green bits to try. In fact, throughout our two and a half hours together we didn’t stray more than a couple hundred yards from his cabin, yet he probably identified at least 30 edible or medicinal plants. He showed me plants that looked like teeny, tiny okra but tasted like dill pickles. He plucked poke leaves, dandelion and lamb’s quarters for pot greens and decorticated a slippery elm branch to make a cord. At one point he convinced me to run the back of my hand through some stinging nettle. Initially I didn’t feel much, but about a minute later an itching and burning sensation spread over my hand. Just as the pain was becoming uncomfortable, Brown rubbed a handful of roughed-up curly dock over the affected area. It took away the pain almost immediately. As we walked over his property and he named the flora around us, it was as if a world that had been blurry slowly came into focus. Out of a forest of green, definition began to appear. 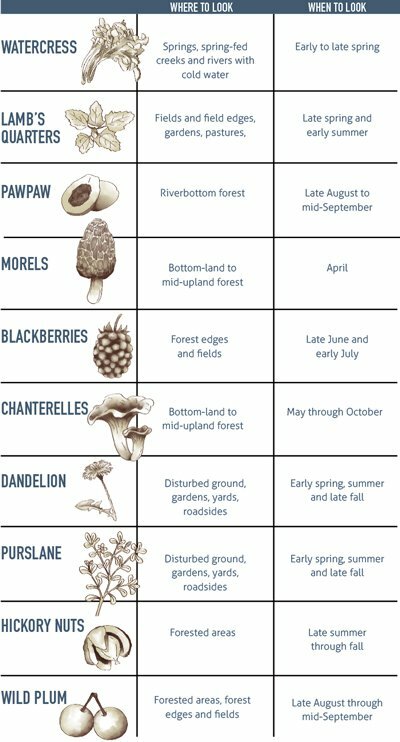 Bo Brown leads foraging walks throughout the spring, summer and fall. You can find dates for the walks at firstearth.org. Or, grab a handful of friends and a book a private event, which typically runs between $100 and $150. 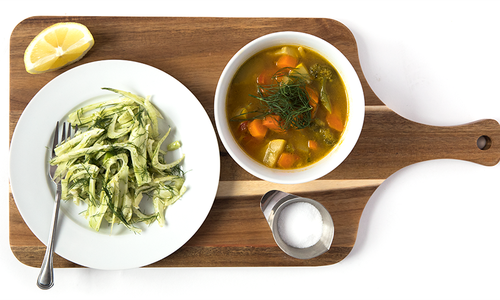 Craig von Foerster of Harvest Restaurant shares a healthy, fresh and delicious recipe made with ingredients straight from the farmers market. 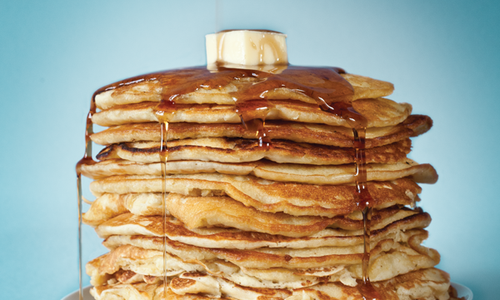 Go all out for the most important meal of the day.